Do research about the breed that you are interested in before going to look for a puppy, this way you are not inclined to choose a puppy just because he is cute. Taking your puppy home would be best at 8 weeks and no sooner. In these 8 weeks the mother teaches the puppy lots of coping skills to function as a well balanced adult dog. I always suggest to people that if possible to take the puppy for a drive around the block before the actual date of pick up. This will just give the little one some time for getting used to driving in a car and being a way from his mother. If you don't have someone driving with you to pick up your puppy, put him in a crate and secure him in the car. You don't want your puppy to sit under the pedals while you are driving or injure himself. Ask the breeders if they could try and not feed the puppy a few hours before your drive and make sure he went for a potty before hand. 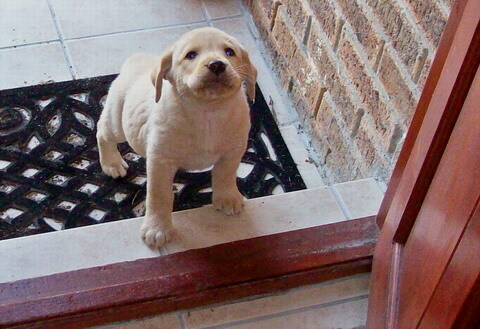 A responsible breeder would do a home check to see that the puppy is going to a suitable home. The breeder must have had the first vaccinations done as well as de-worming with a booklet obtained from the vet stating this. In the next few weeks that your puppy is with you it is just as important...this is the time for you to teach your pup social skills and basic cues. The earlier you start with this the better. Up to 16 weeks it's crucial to put as much in these training skills as possible. This would also be the time to attend puppy socializing classes. Do your home work before going to puppy classes by getting references from other people, your vet or other dog trainers.Start by socializing your pup with friends coming over to visit, other animals and other dogs. Always be there while doing so, never leave him unattended. Do not over socialize your puppy by forcing him to do something he is scared to do, let him do it at his own pace. 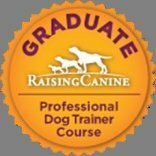 During this time you can start with potty training This is also the time to start training cues you would like your dog to know. You might think but shouldn't you wait till your puppy is older...no. Start now. Although his attention span is short and training sessions should be kept short. He still grasp what is wanted of him. It's easier to prevent an unwanted behavior then to cure it. Take some time before you pick up your puppy to find a place where he will sleep. Crate training is great for that. It's good for a puppy to have his own safe space, never use that space for punishment. It comes in handy when you have to leave the house...but not for hours and hours at end. A puppy should be fed 3 times a day with puppy food. When your dog is at age, have him or her sterilized not only does it prevent certain health conditions, but 1 litter of puppies could cause up to 80 000 puppies in 7 years which most of them will end up either being re homed or euthanized.